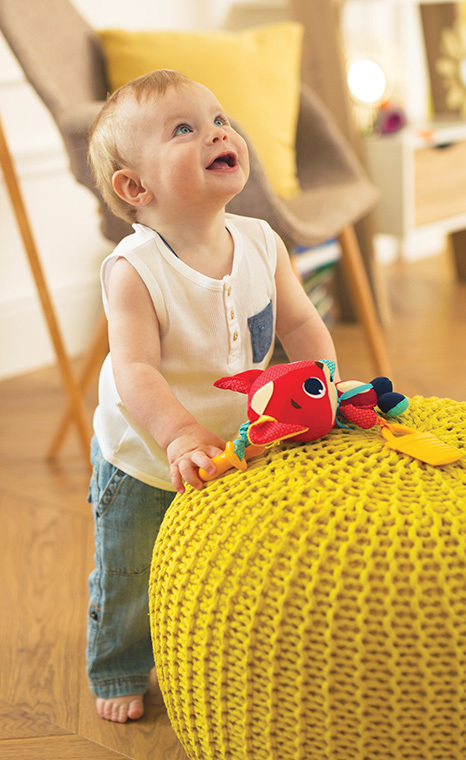 Your infant’s understanding of the world, its rules and his own social environment develops and increases his desire to explore and learn about the logic that underlies the things he sees, hears and feels. 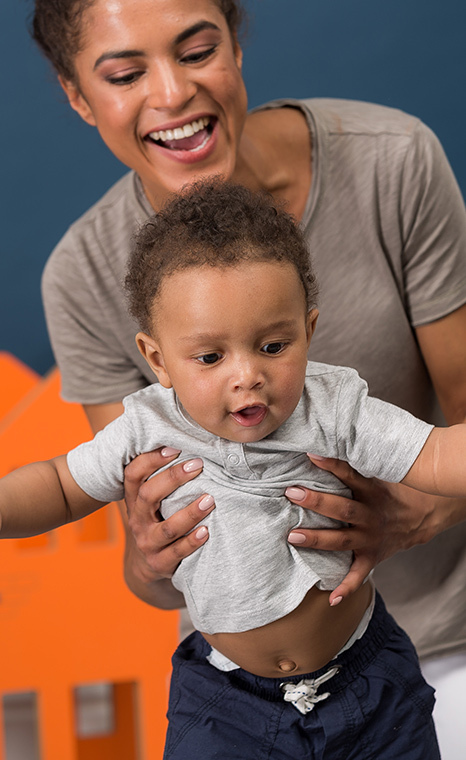 Your baby becomes quite the curious experimenter and explorer: he grasps, shakes, presses, pulls and crushes objects to learn about their nature and applies what he learns to new situations. For example, after he has learned that pressing a certain button produces a certain result, he now knows to press another button and anticipates a result. In addition, he begins to expect results even before they happen. For example, he laughs even before you tickle him. The ability to anticipate what will happen next gives him enormous pleasure and helps strengthen his self-confidence. Both these newly acquired skills set the basis for a deeper understand of processes and the creative ability one has to produce and change outcomes. Explores with her hands and mouth. 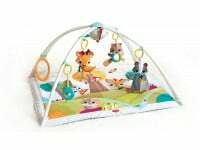 Grasps objects well and passes them from hand to hand. Tries to reach objects which are not within reach. Increasing mobility helps her to reach farther places and satisfy her curiosity. Give your baby a lot of encouragement and positive reinforcement, whether she succeeds or not. Encourage experimentation, through words, a smile, or a kiss. This will increase her enjoyment of the experience, help give her strength to cope with the frustrations of the learning process and build the courage to recognize her limitations.